Things got ugly on Valentine’s Day when Nancy Pelosi (D-CA) tried to speak without a script. 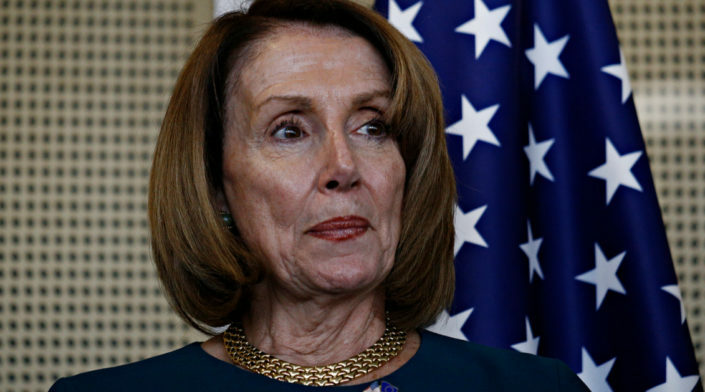 The House speaker once again found herself stumbling and bumbling through a public appearance on Thursday, when she managed to forget which holiday she was celebrating and mix up the amount of money Democrats plan to spend on rebuilding America’s infrastructure. Pelosi’s first slip-up occurred during a public bill signing held by the California congresswoman on Thursday. As is customary, she began with a few remarks, commemorating the day. No attempt to correct the mistake was made by Pelosi, who seemed to be oblivious to the error. But that wasn’t Pelosi’s only major snafu of the day. When discussing the allocation of federal funds, Pelosi said “1 billion — uh, 17 billion dollars” would be set aside to “rebuild America’s infrastructure” before mixing up “$9 million” and “$9 billion” on another topic. Later, when speaking about six appropriation bills that Democrats want to pass, Pelosi held up only five fingers before adding her other thumb to correct her mistake — but that just led to another struggle to find the words she wanted to say. Suffice it to say, it was a difficult Valentine’s Day for the House speaker.